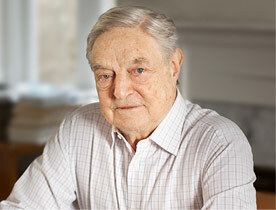 George Soros | Who Lost Russia? The collapse of the Soviet empire in 1989 and the Soviet Union in 1991 offered a historic opportunity to transform that part of the world into open societies; but the Western democracies failed to rise to the occasion and the entire world has to suffer the consequences. The Soviet Union and later Russia needed outside help because an open society is a more sophisticated form of social organization than a closed society. In a closed society there is only one concept of how society should be organized, the authorized version, which is imposed by force. In an open society citizens are not only allowed but required to think for themselves, and there are institutional arrangements that allow people with different interests, different backgrounds, and different opinions to live together in peace. The Soviet system was probably the most comprehensive form of closed society ever invented by man. It penetrated into practically all aspects of existence: not only the political and military but also the economic and the intellectual. At its most aggressive, it even tried to invade natural science—as the case of Lysenko showed. To make the transition to an open society required a revolutionary change in regime which could not be accomplished without outside help. It was this insight that prompted me to rush in and establish open society foundations in one country after another in the former Soviet empire.But the open societies of the West lacked this insight. After the end of the Second World War, the United States launched the Marshall Plan; after the collapse of the Soviet system the idea of a similar initiative was unthinkable. I proposed something like it at a conference in the spring of 1989 in Potsdam, which was then still in East Germany, and I was literally laughed at. The laughter was led by William Waldegrave, a minister in Margaret Thatcher’s foreign office. Margaret Thatcher was a staunch defender of freedom—when she visited Communist countries she insisted on meeting with dissidents—but the idea that an open society needs to be constructed and that the construction may require—and deserve—outside help was apparently beyond her understanding. As a market fundamentalist, she did not believe in government intervention. In fact, the formerly Communist countries were left largely to fend for themselves. Some made the grade; others did not. There is much soul-searching and finger-pointing going on with regard to Russia. Articles are being written asking, Who lost Russia? I am convinced that we, the Western democracies, are largely responsible, and that the sins of omission were committed by the Bush and Thatcher administrations. The record of Chancellor Kohl’s Germany is more mixed. Both in extending credits and in making grants, Germany was the largest financial contributor to the Soviet Union and later to Russia, but Kohl was motivated more by the desire to buy Russian acquiescence in German reunification than to help transform Russia. I contend that if the Western democracies had really engaged themselves, Russia could have been firmly established on the road toward a market economy and an open society. I realize that my contention runs counter to prevailing views. It is counterfactual because, in fact, the economic reform efforts were dismal failures. One would have to believe in the efficacy of foreign aid to argue that the outcome could have been different; but foreign aid has a bad record and the idea that governmental intervention could actually help an economy goes against the prevailing market fundamentalist bias. So attention is concentrated on who did what that went wrong. But it is exactly the market fundamentalist bias that must be held responsible for the outcome. It militated against a genuine engagement to help the Soviet Union and later Russia. People felt a lot of sympathy, but it was inchoate. The open societies of the West did not believe in open society as a desirable goal whose pursuit would justify considerable effort. This was my greatest disappointment and misjudgment. I was misled by the rhetoric of the cold war. The West was willing to support the transition with words but not with money, and whatever aid and advice was given was misguided by a market fundamentalist bias. The Soviets and later the Russians were very eager for and receptive to outside advice. They realized that their own system was rotten and they tended to idolize the West. They made the same mistake as I did: they thought the West was genuinely concerned. I had set up a foundation in the Soviet Union as early as 1987. When Gorbachev phoned Andrei Sakharov in his exile in Gorky and asked him to “resume his patriotic activities in Moscow,” I realized that a revolutionary change was in the making. I have described my experiences elsewhere.1 What is relevant here is that in 1988 I proposed setting up an international task force to study the creation of an “open sector” in the Soviet economy, and somewhat to my surprise—I was then an obscure fund manager—my proposal was accepted by officials in the USSR. My idea was to create a market sector within the command economy, selecting an industry like food processing which would sell its products to consumers at market rather than command prices (with an appropriate system for transfer from command prices to market prices). This “open sector” could then be gradually enlarged. It soon became evident that the idea was impractical because the command economy was too diseased to nurture the embryo of a market economy. That is, the problem of transfer pricing could not be solved. But even such a harebrained idea from an insignificant source was supported at the highest level. Prime Minister Vladimir Ryzhkov ordered the heads of the major institutions—Gosplan, Gosnab, and so on—to participate. It is true that I was able to attract Western economists like Wassily Leontief and Romano Prodi to participate from the Western side. Later on I put together a group of Western experts who provided advice to different groups of Russian economists preparing competing economic reform programs. Then I arranged for the authors of the principal Russian proposal for economic reform, the so-called Shatalin Plan, led by Grigory Yavlinsky, to be invited to the 1990 International Monetary Fund/World Bank meeting in Washington. Gorbachev wavered over the plan and finally decided against it. He balked at two issues: the privatization of land, and the simultaneous dissolution of the Soviet Union along with the formation of an economic union. I still think the Shatalin Plan would have provided for a more orderly transition than did the actual course of events. Soon afterward, Gorbachev fell from power, the Soviet Union disintegrated, and Boris Yeltsin became president of Russia. He entrusted the economy to Yegor Gaidar, the head of an economic research institute who had studied macroeconomic theory from the standard textbook of Rudi Dornbusch and Stan Fischer. He tried to apply monetary policy to an economy that did not obey monetary signals. State-owned enterprises were continuing to produce according to plan even if they were not getting paid for it. I remember calling Gaidar in April 1992 to point out that debt between companies was rising at a rate which was equal to one third of the GNP. He acknowledged the problem but carried on regardless. When Gaidar failed, an uneasy balancing act followed and eventually Anatoly Chubais, the head of another research institute, emerged as deputy prime minister in charge of the economy. He gave priority to the transfer of property from state to private hands. He believed that once state property had private owners, the owners would start protecting their property and the process of disintegration would be arrested. That is not how it worked out. A scheme for distributing vouchers which citizens could use to purchase state-owned companies became a free-for-all aimed at expropriating the assets of the state. Managements took control of the companies by cheating the workers out of their vouchers or buying up shares on the cheap. They continued to siphon off earnings and often assets into holding companies based in Cyprus, partly to avoid taxes, partly to pay for the shares they acquired, and partly to build up their assets abroad because they had no confidence in what was going on at home. Fortunes were made overnight, while there was also an extreme shortage of money and credit, both in rubles and in dollars. Out of these chaotic conditions, the rudiments of a new economic order began to emerge. It was a form of capitalism but it was a very peculiar one and it came into existence in a different sequence from what could have been expected under normal conditions. The first privatization was the privatization of public safety, and in some ways it was the most successful. Various private armies and mafias were set up and, where they could, they took charge. The managements of state-owned enterprises formed private companies, mainly in Cyprus, which entered into contracts with the state enterprises. The factories themselves ran at a loss, did not pay taxes, and fell into arrears in paying wages and settling debts between companies. The cash flow was siphoned off to Cyprus. New banks were formed, partly by state-owned companies and state-owned banks, partly by newly emerging trading groups. Some banks made fortunes by handling the accounts of various state agencies, including the Treasury. Then, in connection with the scheme for privatizing state companies by the distribution of vouchers, a market for stocks was born before the mechanisms for registering stocks and efficiently settling transactions were properly in place, and long before the enterprises whose stocks were traded started to behave like companies. A culture of lawbreaking became ingrained long before the appropriate laws and regulations could be enacted. The proceeds from the voucher privatization scheme did not accrue either to the state or to the companies themselves. At first, the managers had to consolidate their control and service the debts they had incurred in the process of acquiring control; only afterward could they start generating earnings within the companies. Even then, it was more advantageous to hide the earnings than to report them unless they could hope to raise capital by selling shares. But only a few companies reached this stage. These arrangements could be justly described as robber capitalism, because the most effective way to accumulate private capital if one had hardly anything to start with was to appropriate the assets of the state. There were, of course, some exceptions. In an economy starved of services, it was possible to make money more or less legitimately by providing them, for example repair work or running hotels and restaurants. When the International Monetary Fund extended a $15 billion loan to Russia, I argued in an article published in The Wall Street Journal on November 11, 1992, that the money should be earmarked for the payment of social security benefits and that the disbursement of the funds should be closely monitored. Because of the undervaluation of the ruble, pension payments were only $8 a month, so the money would have been sufficient to pay all the pensions. My proposal was not given serious consideration because it did not fit into the International Monetary Fund’s mode of operation. So I set out to show that foreign aid could be made to work. There were other arguments in favor of helping scientists. During the Soviet regime many of the best brains had joined research institutes where independent thinking was more tolerated than in the rest of Soviet society, and they produced science which was at the cutting edge of human accomplishments. It was a somewhat different strain from Western science, more speculative, less advanced technically except in a few priority areas. Scientists were also in the forefront of political reform. Andrei Sakharov was particularly well known and admired, but there were many others. In addition, there was now a danger that nuclear scientists might be enticed away by rogue states. The entire undertaking was a resounding success and gave my foundation an unassailable reputation. There were many attacks against us because we engaged in many controversial programs. For instance, we ran a competition for new textbooks free of Marxist-Leninist ideology and were accused of poisoning the minds of students. On one occasion the Duma conducted hearings on charges that we were acquiring scientific secrets on the cheap, but the entire scientific community rose in our support and the Duma ended up passing a vote of thanks. When I say that history would have taken a different course if the Western democracies had come to the aid of Russia after the collapse of the Soviet system, I can therefore rely on much supporting evidence. Imagine how differently Russians would feel about the West today if the International Monetary Fund had paid their pensions when they were starving! I abstained from personally investing in Russia, partly to avoid any conflict of interest but mainly because I did not like what I saw. I did not interfere, however, with my fund managers who wanted to invest, and I also approved their participation in a Russian-run investment fund on equal terms with other Western investors. I attended the World Economic Forum in Davos in January 1996, where the Communist presidential candidate, Gennadi Zyuganov, was well received by the business community. I met with Boris Berezovsky, and said to him that if Zyuganov was elected he would not be safe in Russia. I wanted him to support Grigory Yavlinsky, whom I considered the only honest reformer among the candidates, but I was naive. I did not realize to what extent Berezovsky was involved in dirty dealings with Yeltsin’s family. According to his own public statements, my warning about his safety concentrated his mind. He got together with the other leading Russian businessmen who were attending the Davos conference and they formed a syndicate to work for Yeltsin’s reelection. That is how they became the oligarchs. It was a remarkable piece of political engineering: Yeltsin started with an approval rating of lower than 10 percent and they succeeded in getting him reelected. The campaign was managed by Anatoly Chubais. I do not know the details, but I can use my imagination. When one of Chubais’s aides was caught leaving the Russian White House—the headquarters of the prime minister and his government—with some $200,000 in a suitcase, I am sure it was not play money. The oligarchs extorted a heavy price for their support of Yeltsin. They received shares in the most valuable state-owned companies as security against loans they made to the state budget in an infamous “loans for shares” scheme. After Yeltsin won the election, these companies were put up for auction and the oligarchs divided them up among themselves. I know Chubais well. In my opinion he is a genuine reformer who sold his soul to the devil in order to fight what he called the red-brown menace—a combination of nationalism and socialism—which he believed would come to dominate Russia unless he did something to prevent it. After Yeltsin’s reelection he again took charge of the economy, but he had difficulty controlling the oligarchs. I was greatly encouraged when Yeltsin brought Boris Nemtsov, the reformist governor of Nizhny-Novgorod, into the government and treated him as his adopted son. Chubais was tainted by the elections but Nemtsov was clean: he could stand firm where Chubais could not. I took this as a signal that the Yeltsin regime under the leadership of Chubais genuinely wanted to move away from robber capitalism toward legitimate capitalism. The budget deficit and money supply were kept within bounds and back taxes began to be collected. Inflation and interest rates declined. Shareholder rights were better respected and the stock market boomed. Foreign money poured into both stocks and debt instruments. Russian borrowers could obtain five-year loans at only 250 basis points above the London interbank rate. It was against this background that I decided in 1997 to participate in the auction of Svyazinvest, the state telephone holding company. I agonized over the decision. I was aware of the pervasive corruption in Russia. It would have been easier to keep my hands clean by sticking to philanthropy, but I felt that Russia needed foreign investment even more than philanthropy. If Russia could not make the transition from robber capitalism to legitimate capitalism, all my philanthropy was in vain. So I decided to participate in a competing bid for Svyazinvest that turned out to be the winning one. This was the first genuine auction in which the state was not shortchanged. Although we paid a fair price, just under $2 billion, of which my funds put up nearly half, I calculated that it would prove to be a very rewarding investment if the transition to legitimate capitalism came to pass. Unfortunately that is not what happened. The auction precipitated a knockdown, drag-out fight among the oligarchs, a falling-out among thieves. Some of the oligarchs were eager to make the transition to legitimacy while others resisted it because they were incapable of working in a legitimate manner. The main opponent of the auction and its outcome was Boris Berezovsky. After his allies lost the auction, he vowed to destroy Chubais. I had a number of heart-to-heart talks with him but I did not manage to dissuade him. I told him that he was a rich man, worth billions on paper. His major asset was Sibneft, one of the largest oil companies in the world. All he needed to do was to consolidate his position. If he could not do it himself, he could engage an investment banker. He told me I did not understand. It was not a question of how rich he was but how he measured up against Chubais and against the other oligarchs. They had made a deal, they must stick to it. He must destroy or be destroyed.I came to witness at close quarters an astonishing historical spectacle in which powerful oligarchs tried to reverse the results not only of the auction but of the entire effort of the government to control the oligarchs. I was watching people fighting in a boat while the boat itself was drifting toward a waterfall. As part of a campaign of charges and countercharges, Berezovsky revealed that Chubais had received $90,000 from a phony book contract, which was in fact the other oligarchs’ payment for his services as Yeltsin’s campaign manager. Chubais was weakened and distracted by the constant need to defend himself. Tax collections required his personal intervention if they were to go forward, and tax revenues fell. There was a dangerous drift downward in the economy just as the Asian crisis of 1998 began to make its effects felt. It culminated in Russia defaulting on its internal debt in August 1998, which shook the international financial markets.The effect on the Russian economy was less devastating than was expected at the time. The default on treasury bills brought relief to the budget; the recovery in oil prices helped both the fiscal and the trade balance; and the devaluation announced by Yeltsin in the summer of 1998 led to increased demand for domestic products. After the initial shock caused by the collapse of the banking system, the economy hit bottom and began to recover. The banks and the oligarchs suffered serious losses, but within a year the Russian GNP was higher than it had been before the financial crisis. Even the foreign creditors were offered settlements which they found advantageous to accept. Then there was a series of mysterious explosions in Moscow in which entire apartment houses were blown up and some three hundred people killed while they slept. In the panic that followed, fear and anger were directed against the Chechens, assisted by a carefully orchestrated campaign in the press and television. Putin invaded Chechnya and the Duma elections were held in an atmosphere of war hysteria. Very few candidates dared to oppose the invasion. Grigory Yavlinsky was among the few. He supported the antiterrorist campaign in Dagestan but he drew the line at invading Chechnya itself. The popularity of his party, Yabloko, dropped precipitously and it barely squeezed past the threshold of 5 percent of the vote required for representation in the Duma. A hastily concocted government party, Unity, without any coherent program, came in second to the Communists, with 23 percent. The Union of Rightist Forces, led by Chubais, Sergei Kiriyenko, and other reformers, embraced Putin and scored quite well with 8.6 percent. Yevgeni Primakov, who, with the backing of Moscow’s mayor, Yuri Luzhkov, had been considered the favorite candidate for the presidency, was decisively defeated; their party got only 13 percent. Using the momentum generated by the victory in the parliamentary elections, Yeltsin announced his resignation on New Year’s Eve, virtually assuring the election of Putin as his successor. Primakov withdrew from the contest.The phenomenal rise of Putin out of nowhere had an eerie resemblance to the feat of political engineering which got Yeltsin reelected in 1996. From long experience with Berezovsky, I see his hand in both operations. I first met him in connection with his $1.5 million contribution to the International Science Foundation when the executive director of the foundation, Alex Goldfarb, introduced him to me. I have described our by now well-known conversation at Davos. Subsequently Berezovsky claimed that it was this conversation that induced him to form a syndicate for the reelection of Yeltsin. During 1996, we had a number of very frank discussions about the election campaign. I got to know how he operates.Then we became adversaries in the Svyazinvest auction but we continued to talk to each other. I tried to convert him from robber capitalist to legitimate capitalist. He tried to use me in his campaign for the chairmanship of Gazprom—by far the most powerful commercial entity in Russia. In June 1997 he invited me to Sochi to visit Viktor Chernomyrdin, who had been chairman of Gazprom before he became prime minister, and subsequently flew me back to Moscow in his private plane. He told me that both Chubais and Nemtsov supported his candidacy. I did not believe him, so I asked Nemtsov. That was the first he had heard about it. “Over my dead body” was his reaction.Afterward I had lunch with Berezovsky at his “club,” which was decorated, deliberately or not, in the way Hollywood would present a mafia hangout. I was the only guest. I did not tell him what Nemtsov said, but I did tell him that I had asked Nemtsov and that he had claimed that he did not know about Berezovsky’s quest for the chairmanship of Gazprom. This made Berezovsky very angry and his anger gave me the chills. I literally felt that he could kill me. He did not say so, but he made me feel that I had betrayed him. It was a turning point in our relationship. We continued to talk to each other—on one occasion Berezovsky flew to New York just to see me—but from then on I tried to keep my distance from him. As I have said, the falling-out among the oligarchs, and the conflict between Berezovsky and Chubais in particular, was a bizarre episode, although not as bizarre as the promotion of Putin as Yeltsin’s successor. Berezovsky saw the world through the prism of his personal interests. He had no difficulty in subordinating the fate of Russia to his own. He genuinely believed that he and the oligarchs had bought the government by paying for Yeltsin’s reelection, and that the government had reneged on the bargain by allowing a genuine auction for Svyazinvest. He was determined to bring down Chubais for betraying him. When I warned him that he was pulling down the tent around him, he answered that he had no choice; if he showed any weakness he could not survive. I could not understand this at the time, but in retrospect it makes perfect sense. Berezovsky could not make the transition to legitimacy; his only chance of survival was to keep people entangled in the web of illegitimate relationships that he had established. He had a hold on Yeltsin because of the illegitimate favors he had arranged for Yeltsin’s family. For instance, he had made Yeltsin’s son-in-law a manager of Aeroflot, whose hard-currency revenues were diverted to a Swiss company called Forus, which, it was explained to me, meant “for us.” This gave him power over Yeltsin that none of the other oligarchs had. Berezovsky also had a hold on Chubais, and when the chips were down he did not hesitate to use it. The $90,000 Chubais received in the form of a phony book contract caused his temporary downfall. This is the perspective I bring to bear on the current situation. Berezovsky and Yeltsin’s family were looking for a way to perpetuate the immunity they enjoyed under Yeltsin’s presidency. They tried a variety of ways, some quite farcical. At one point, at Berezovsky’s instigation, Yeltsin informed the president of the Duma that he was going to nominate Nikolay Aksyonenko as prime minister, but Chubais intervened and the official document sent to the Duma nominated Sergei Stepashin. Subsequently Stepashin was pushed out of office. Berezovsky’s situation became desperate when the scandal over the laundering of Russian illegal money in US banks broke in 1999 and he realized that he could not find refuge in the West. One way or another he had to find a successor to Yeltsin who would protect him. That is when the plan to promote Putin’s candidacy was hatched. On the flight from Sochi to Moscow in 1997, Berezovsky had told me stories about how he had paid off the anti-Russian military commanders in Chechnya and Abkhazia. So when the Chechen leader Shamil Basayev invaded Dagestan, I smelled a rat. I set up a test: Would Basayev withdraw by the deadline set by Putin? He did. Even so, I could not quite believe that the explosions in the Moscow apartment buildings could be part of a plan to justify war. It was just too diabolical. It would not be unique—Russian history is replete with crimes committed by agents provocateurs, from Azev the spy during the tsarist period to Kirov’s murder, which was used to justify Stalin’s purges—but it would nevertheless be in a class by itself. Still, I could not rule it out. From Berezovsky’s point of view the bombing made perfect sense. Not only would such attacks help to elect a president who would provide immunity to Yeltsin and his family but it would also give him, Berezovsky, a hold over Putin. So far, no evidence has surfaced which would contradict this theory. While we may never find out the truth about the Moscow explosions, there can be no doubt that it was the war in Chechnya that has propelled Putin to victory. I find this distressing. Between 1994 and 1996, during the previous Chechen war, the Russian population was upset when it saw the devastation and suffering caused by the invasion of Chechnya. The protests by the mothers of enlisted soldiers and by human rights activists like Sergei Kovalev helped to bring about a negotiated settlement. This time the reaction of the Russian population strongly contrasts with its attitude five years ago. Admittedly, the Chechen terrorists must bear a large share of the blame. They captured aid workers and journalists, held them for ransom, and often killed them. Fred Cuny, the hero of Sarajevo, perished in this way. There is hardly anybody left who dares to get involved with helping Chechens or with publicizing the atrocities they have suffered. There has been a masterful manipulation of public sentiment against them. The fact remains that the attitude of the Russian population is very different from what it was a few years ago. At the beginning of the post-Gorbachev years, Russians had a positive aversion to violence. In fact, very little blood was spilled in the early days and on the rare occasions when people were killed—in Tblisi, in Lithuania, and later in the siege of the Duma in October 1993—public opinion turned against those who used force. Not anymore. By electing Putin president in March, the Russians will become more implicated than ever in the bloodshed in Chechnya. There is a theory that a victim who has been sufficiently brutalized can become himself drawn to violence. The pattern seems to fit many violent criminals and it also seems to apply to ethnic violence.2 The Serbs have long considered themselves victims, and Milosevic could exploit this sentiment in pursuing a policy of ethnic cleansing. Something similar seems to have happened in Russia. Putin will try to reestablish a strong state and he may well succeed. In many ways that would be a desirable development. As the Russian experience has taught us, a weak state can be a threat to liberty. It is indispensable for the functioning of a market economy that there be an authority that can enforce the rules. By accomplishing the transition from robber capitalism to legitimate capitalism Putin may well preside over an economic recovery; my investments in Russia—including the one in Svyazinvest—may finally pay off. But Putin’s state is unlikely to be built on the principles of an open society; it is more likely to be based on the demoralization, humiliation, and frustration of the Russian people. It will likely continue to exploit the sense of terror that people felt when the apartment buildings blew up, and seek to establish the authority of the state at home and the glory of Russia in the world. Exact predictions are impossible, but it seems likely that the new government will be authoritarian and nationalistic. It is telling that one of Putin’s first moves was to reject alliances in the Duma with the parties of Yavlinsky, Gaidar, and Chubais, and make a deal for the support of the Communists. One thing is clear to me: we are facing a prospect that could have been avoided if the open societies of the West had been more firmly committed to the principles of open society themselves. For the fact that many of our hopes did not materialize. For things which to us seemed simple but turned out arduous. I want to ask forgiveness for the fact that I was not able to justify the hopes of some people who believed that we would be able to move forward in one swoop from a gray totalitarian and stagnant past to a bright, rich and civilized future. I believed it myself. But it did not work out like that. In some way I was too naive. What Yeltsin did not say is that he and many others put their faith in the West but the West did not live up to their admittedly exaggerated expectations. I can speak only for myself. At first I thought that Western statesmen simply did not understand what was happening. That Gorbachev was willing to change the system was too good to be true, so they wanted to test it. They set hurdles, and when Gorbachev jumped over them, they set higher hurdles. Eventually they had to admit that the change was for real, but in the meantime they lost all respect for Russia as a superpower. They started treating Russians like beggars. They found money in the Nunn-Lugar Act to help them with nuclear disarmament, but not much for anything else. I remember a Russian economist telling me that he spent five hours with Secretary of State James Baker on a plane to Seattle in 1990 begging for assistance, to no avail. I also remember Alexander Yakovlev, the main driving force behind Gorbachev, telling me, much later, how humiliated he felt in his dealings with the Americans. With regret I had to conclude that the West did not care very much for the open society as a universal concept. Had it done so, the process of transition would still have been very painful for Russia, with many dislocations and disappointments, but at least it would have moved in the right direction. Russia could have become a true democracy and a true friend of the United States, just as Germany did after the Second World War and the Marshall Plan. That is not the prospect facing us today. My foundation remains very active in Russia and it is receiving strong support from Russian society. We established thirty-two computer centers in the Russian provincial universities. This has helped to develop the Internet in Russia; and online information is emerging there as an alternative to the increasingly timid press. In most of our recent programs we insist on matching funds from the local authorities. For instance, we are supplying books to five thousand local libraries and we are asking for 25 percent of the cost in the first year, 50 percent in the second and 75 percent in the third, and we are actually receiving it. When we wanted to introduce an educational reform program in six oblasts, fifteen of them offered to put up the matching funds. I remain committed to supporting the work of the foundation as long as it receives the support of Russian society and is allowed to function. The quest for an open society is a flame that could not be extinguished even by Stalin’s terror. I am sure it will stay alive in Russia whatever its future.